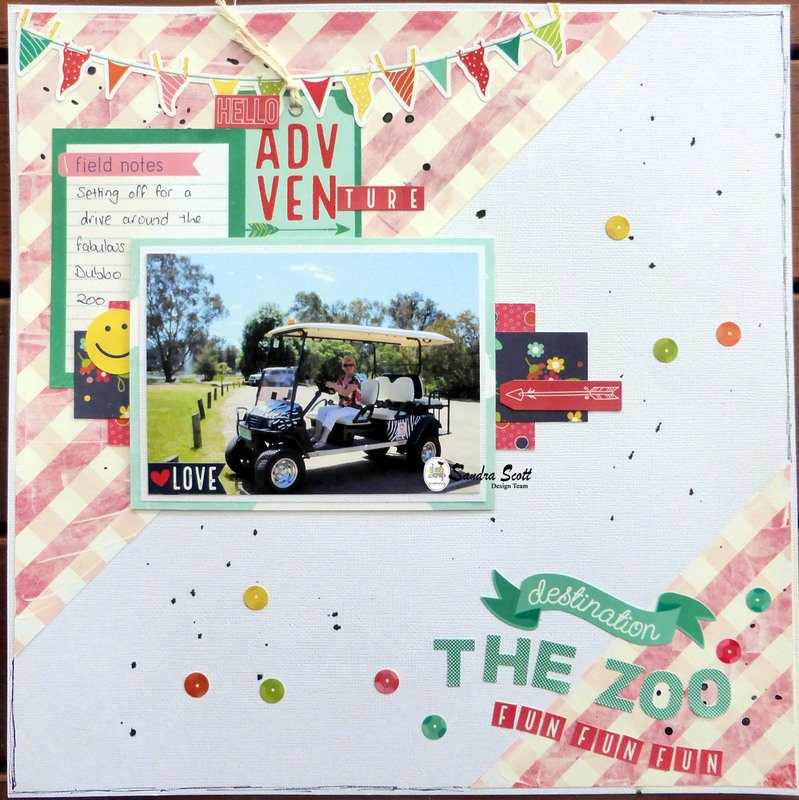 Good morning crafty people, I'm up today with a layout using Photo Play - Happy Camper Patterned Paper and Sticker sheets. I cut the main PP on the diagonal and added gesso lightly over the top to soften the colour slightly. I also used a sketch by Laura Whitaker for this layout. The Sticker Sheets with this collection provide great options for embellishments and titles. I finally added some splatters with the Dylusions Spray. You can visit the shop here and if you use the code SS5 you can receive a $5 Discount. Fantastic layouts.. such fun papers!